Our friend, Misako Akimoto, a documentary photographer who had been chronicling BORP athletes for the last decade, has launched a Kickstater campaign to publish a book of her beautiful black and white photos entitled, Power Play. The book documents three East Bay communities of disabled people (one being BORP’s athletes) of all ages who are on the move. Movement comes in all forms, and in many places. From a wheelchair to a sled, from the ice to the hardwood, to being out in public, movement is movement. 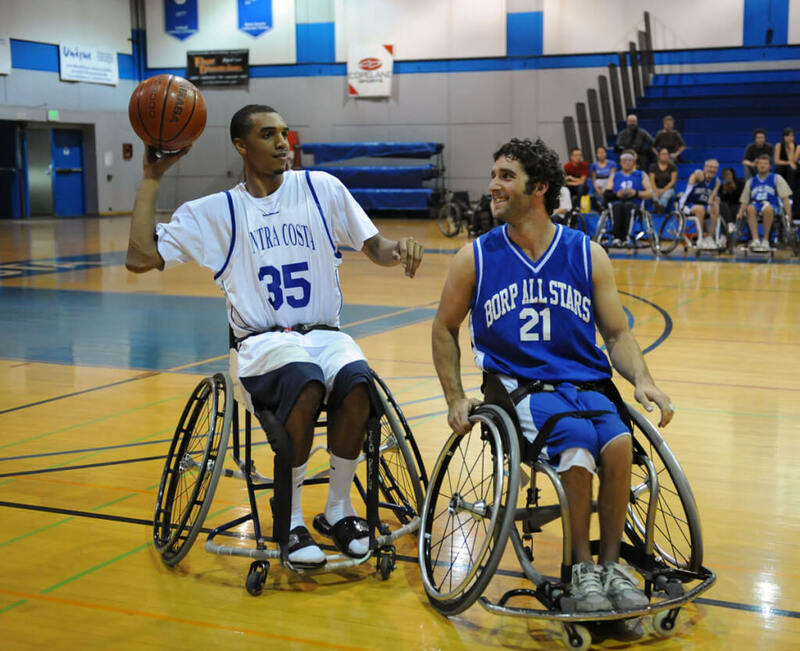 The things we teach on the court and on the ice carry over into life skills. Misako took her photographs over a four year period and built a touching body of work in rich black and white images to represent these worthy people, able-bodied and disabled alike. There will be over 144 images printed in black and white, on 96 pages. The Kickstarter funding will allow Misako to realize her goal to print and distribute Power Play, allowing others to experience these remarkable people. All the photographs for the book have been taken. The book has been designed, edited, and is ready to print. Infinity Press in San Carlos, CA, will print the book if the funding goal is met. Minimum pledge to receive a copy of the book: $30. 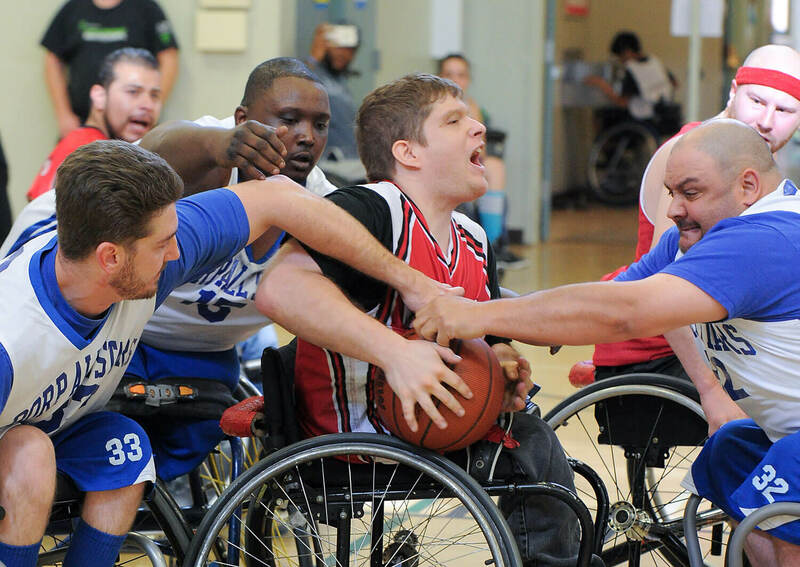 The 12th annual BORP Hoops Classic Tournament on March 14 & 15 at James Kenney Recreation Center featured some great wheelchair basketball! Thanks to our own Scot Goodman for the fantastic photo below. See more of Scot’s photos from this past weekend here. Thanks to all the participants, volunteers, and fans who made the 12th Annual Hoops Classic such a success. Check here for a tournament recap soon! 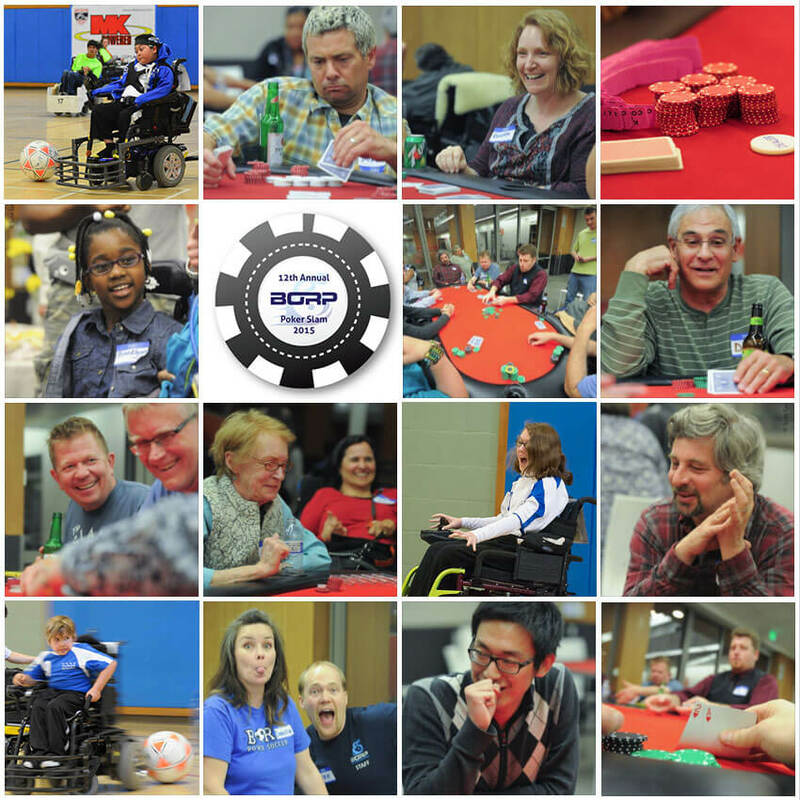 Thanks to all who participated, donated, volunteered and otherwise supported the Poker Slam! It was a fun night, as always, and helped raise over $6,000 for the BORP Power Soccer Program. Check back here for photos soon!